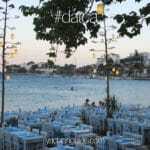 ﻿Did You Know That 99% of Charter Gulets in Croatia are Turkish Gulets? A holiday experience like no other, Turkish blue cruise holidays have been around for over a decade. Just less than a decade Croatian buyers have been visiting Turkey, scouting for their next gulet purchase – buying from Bodrum, Marmaris, Bozburun, Fethiye, Gocek, Istanbul, and Antalya. 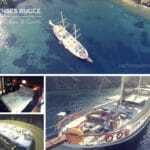 The gulet charter industry is a very rewarding holiday for vacationers. Such a relaxing, spacious, luxurious, and easy going time at sea, gulets have been one of the primary yacht rentals in the Eastern Mediterranean. 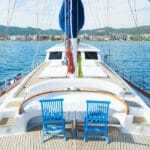 The Croatian buyers have taken this blue cruise holiday style and offer it in their waters. This has brought new and continued business from hundreds and thousands of holidaymakers to their country, thanks to the expert craftsmen who have built these fine wooden vessels made from mahogany, teak and pine. This makes Turkey quite proud to know that their blue cruise holiday style has become one of the most desirable yachting vacations in Eastern Europe. 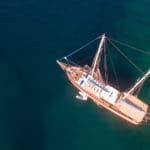 So the next time you charter a gulet in Croatia; you might like to think that there is more to the history of your gulet – originating in Turkey! Charters are available from the ports of Split and Dubrovnik and nearly all itineraries take place more in the southern part of Croatia’s Adriatic.